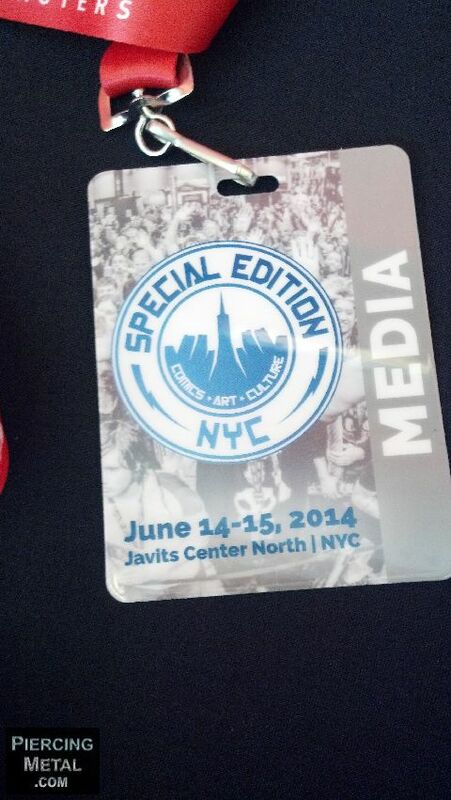 For the next few posts I’ll be presenting my findings from the brand new convention known as the “Special Edition NYC” and for those who have never heard of it, I guess the best way to sum it up is to say that its a smaller scaled NY Comic Con and one that is specifically focused on the comic book creators, their companies and retailers. This weekends event would also be the first go round of this convention and much like the Comic Con would be held at the spacious Javits Center, but in its North Wing. As you see by the photo below I had secured the proper Press Credentials and would be able to explore the event as a member of the media. As I have done with numerous NY Comic Con postings, our readers can count on plenty of photographs and thoughts that bring them into the happening with us. Let’s get to work. 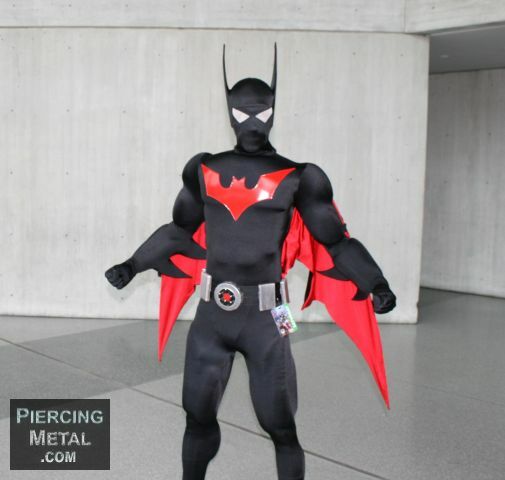 The first Cosplayer that I encountered was this superb Batman Beyond fella. I gladly included him in the coverage and even began to load up the Official PiercingMetal Instagram with images from this point on.